With iconic styling, a beautiful color combination, and a freshly rebuilt factory correct drivetrain, this Corvette is ready to be driven, shown and admired. 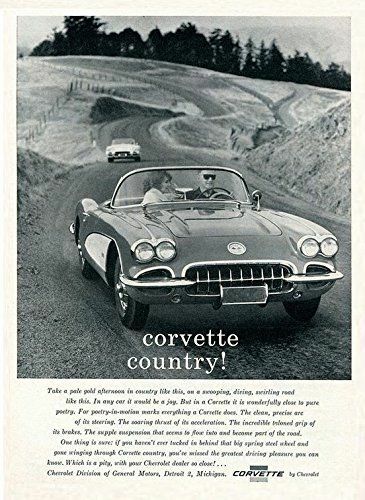 This Corvette is a perfect representation of the 1960 model year: This is when the V8 power and first generation styling really came together in one of the most dynamic packages around. Finished in the correct two tone deep gloss Tuxedo black with silver, this car will get all the right attention! Especially with the gorgeous red interior! The engine bay features a rebuilt reproduction 283 engine with the correct; dual carter carburetors, solid lifter cam, dual point distributor, coil, new tach cable, generator, horn relay, wiper motor and brake master cylinder. The numbers matching 4 speed manual has been rebuilt and carefully placed back under the car as well as the rear differential and everything else in between. The suspension rubber has all been replaced and new Bilstein shocks were added. Overall if your looking for a fully restored 1960 Corvette, with an excellent fit and finish look no further!